Find your inner artist . . .
﻿ArtUncorked-Navarre is designed to help you uncork your creative spirit, uncork fun with friends, and uncork a bottle of your favorite beverage. I currently offer home parties and host events at local businesses in Navarre, Florida. No previous painting experience is necessary. You do not have to know how to draw or paint. I will gladly teach you everything you need to know. 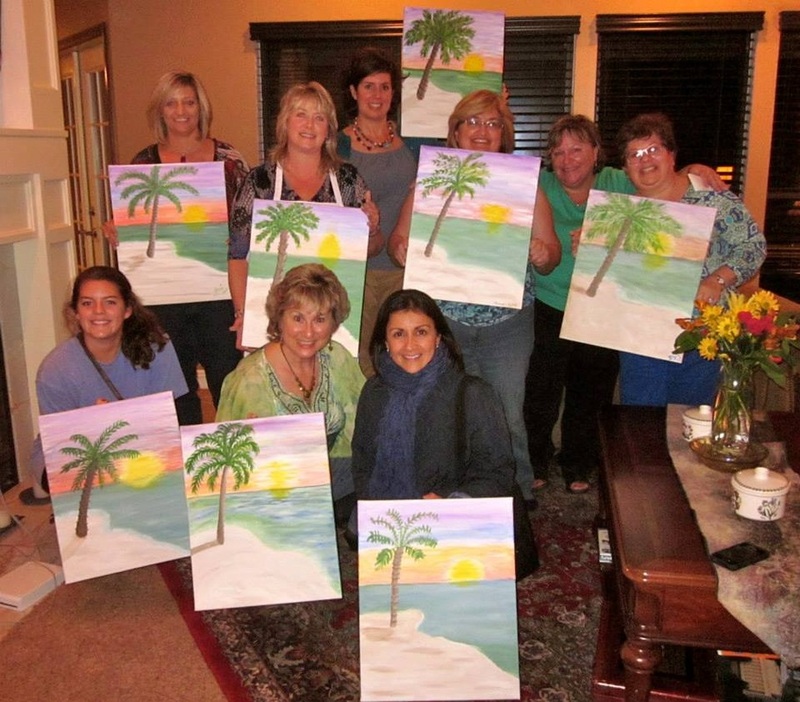 Provided are the canvas, paints, easels, and aprons. All you need is a place to set up. I can accommodate up to 25 people, with a minimum of eight.